They’re looking fir air traffic controllers. A planned three-day air traffic controller strike in France has forced Enterprise Florida to scramble in getting its trade mission advance team on flights to reach the International Paris-Le Bourget Air Show. However, the strike — a protest against being integrated into the rest of the European air traffic system — isn’t expected to impact the arrival of the bulk of the Florida delegation, led by Gov. Rick Scott, that departs for France on Friday. 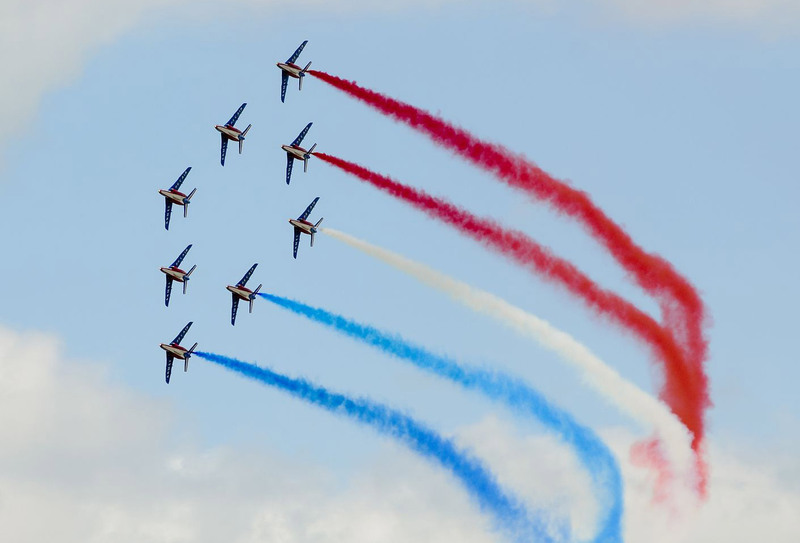 The weeklong mission, the ninth international trade delegation fronted by Scott, is expected to focus on Florida’s aviation and aerospace industries, with time set aside for meetings in Paris with unspecified, but non-aviation related French investors. While the nearly 80-member delegation list was released late Wednesday, along with plans for a pavilion at the air show to showcase 12 Florida companies, the day-to-day agenda for the mission was still being put together. “It’s still being worked,” Sean Helton, Enterprise Florida public relations manager, said in an email late Wednesday afternoon. Helton noted that Scott and Enterprise Florida President Gray Swoope are expected to meet with representatives from about 40 aerospace and aviation companies during the mission. In 2011, the biannual air show drew more than 350,000 attendees, including 151,500 trade visitors, with delegations from 82 countries. Last year Scott and Enterprise Florida went to the Farnborough International Airshow in southeast England, with the intent to highlight the nearly 2,000 aviation and aerospace companies in Florida that employ an estimated 87,000 people. Scott has said the missions are about long-term relationship-building between companies and the individuals on the trip. He recently cited examples of what the missions can bring Florida, trumpeting a pair of businesses — a hotel operator and pool manufacturer — expanding from Chile to Miami and a Canadian-based cash services firm that relocated its U.S. headquarters from California to Boca Raton. Scott and Enterprise Florida went to Chile in May and Canada two years ago, with trips in between to Panama, Spain, England, Brazil, Israel and Colombia. Last month, House Minority Leader Perry Thurston, D-Fort Lauderdale, questioned the trade missions, saying they lacked “empirical data” to directly link the economic benefits of the trips with any moves to Florida by a private foreign firm. Thurston’s comments drew a, “Here’s your empirical data,” response from the Republican Party of Florida on Monday, as Scott announced that the Canadian Security firm, GardaWorld Cash Services, was bringing 500 jobs to Florida. House Democratic spokesman Mark Hollis, who said he hasn’t talked to Thurston this week, echoed the minority leader’s sentiments. Regardless, for Scott the missions will keep coming. He is already working with Enterprise Florida for a mission to Japan, possibly in October. Burdensome into our already depleted taxpayers pockets!! Governor iswealthy so does not feel the pinch of his and buddies free ride on us. would they not be flying on his personal jet as he said he would fly when he got rid of the state one the Govenor would use? How do you say ” FREE PAYED VACATION FROM TAXPAYER ” in French ? Another waste our tax dollars. now, now… it is not all play & no business. scott is working out all those pesky minutia-esque details that comes with his moonlighting as a corporate tycoon and likely networking for his own sake so when he is not re-elected he will already have a healthy list of “plan b’s” ready for acquisition. Frenchy very real and very funny…La Rip Off…got that right! I wouldn’t have nearly as big a problem with this if it didn’t involve EIGHTY people. Seriously? Who exactly is on that list? I’d really like to see it. Liberal logic 401: Put an unqualified, business ignorant, never-ran-so-much-as-a-lemonade-stand community organizer in charge of the largest, most complex economy in the world and wonder why he can’t get the economy to grow more than 2% in five years. Now shut up, sit back and watch how it’s done. Hopefully this generation 60+ of wasteful spend everybody’s money for no good reason politicians will die off and make room for a new generation of real people who represent the taxpayer. This is sickening.